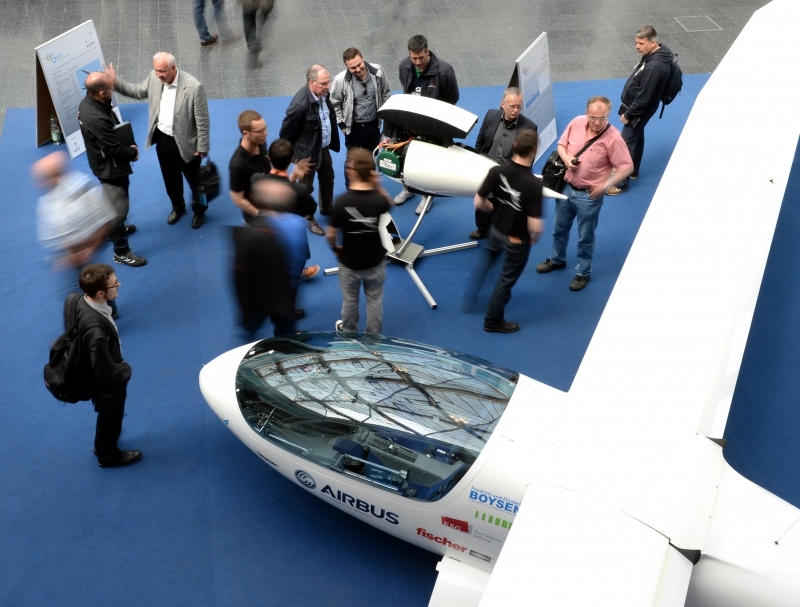 Shown at the E-Flight Expo at Friedrichshafen’s Aero 2015, Stuttgart University’s e-Genius had an aerodynamic-looking pod next to one wing, containing an ENGIRO range extender consisting of a Wankel-type engine and a generator. The unit could, as its name implies, help e-Genius go for new records to add to its already significant collection. Bill Lofton at EV Hangar has detailed the extender, now associated with the e-Genius and in a larger variant on the Equator P2 amphibian being built in Norway by Tomas Broedreskift. The extremely compact unit (said to fit on an A3 sheet of paper (420 mm x 297 mm, or 16.5 inches x 11.7 inches), weighs 32 kilograms (70.4 pounds). It generates 20 kilowatts (26.8 horsepower) of electrical output, with the four-stroke Wankel engine turning 6,000 rpm. According to the data sheet, the 294-cc engine consumes five liters per hour at an output of 15 kW. Given the clean nature of e-Genius, having toured the Green Flight Challenge course in 2011 at a fuel economy equivalent to 387.3 passenger miles per gallon at over 100 mph, a range extender on less than full power would enable extremely long flights while recharging the airplane’s batteries, and maybe allow removal of some of the 300 kilograms (660 pounds) carried by e-Genius. Even an expensive (the engine costs $5,450 minimum from an American supplier) range extender would cost less than several hundreds of pounds of lithium batteries, and the energy density of a non-fossil fuel would keep economies high. 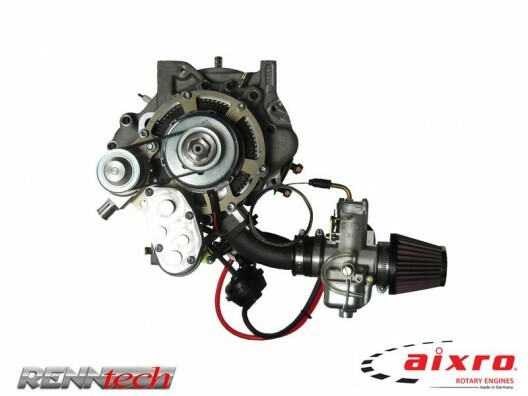 RennTech Karting, a distributor in Florida, sells the Aixro engines, and even has an aeronautical version. It’s rare to see a manufacturer and distributor willing to take on the challenges of aerial applications, so this may have some potential for American homebuilt aircraft types to try their hand at creating a domestic hybrid. Since jet fuel / diesel is heavier than petrol, the same liters would weigh more and the SFC would be higher (worse). However, the 5 liters for 20 HP is based on petrol (benzine on the engine maker’s website). They have not, apparently, said how they will get past the notoriously thirsty nature of the Wankel style rotary. Here is a math problem, then: where is the sweet spot in price, the sweet spot in weight, the sweet spot in complexity and failure modes? If we design for an extender and admit that it costs less to buy an engine than the requisite batteries, why not minimize the batteries to only what is needed to provide take-off and/or emergency climb ability? A pure electric will make sense someday when the battery problem is “solved”. When that day comes I would be up early to get in line but not before. 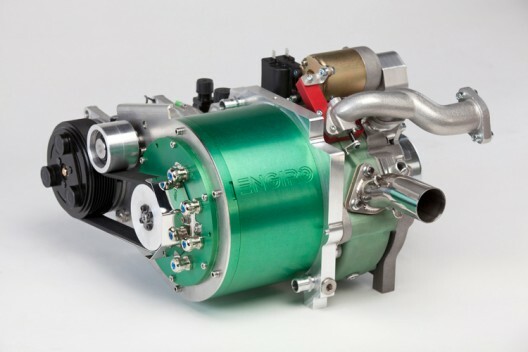 I like the idea of using a gen-set and a minimum battery with a very capable electric motor that can be amazingly good on power vs weight, reliability, speed and torque control, etc. The gen-set can be optimized to compete with a leaned-out big Conti because it can run at the perfect speed and load. But this differs from the usual concept of a range extender because I would start with the idea of the minimum battery, not simply swap battery for engine as your article suggests. Am I reading too much between the lines? If so, I apologize for that, too. If we ignore the issue of the evilness of see-oh-too then we can see that carrying stored electrical energy around will only make sense when it is cheap and light. Most electric and hybrid cars are in actuality coal-powered for now. That’s a double whammy: we don’t have a good way to generate the electricity and we don’t have a good way to store and schlepp it. But using just enough of that to let us use an optimized engine with perfect prop speed and torque control can be advantageous. They are saying they are under .45 now and “expect” to get below .40 with stratified charge and direct injection. They are not for sale yet but claim to have signed a contract with DARPA for $1mil to develop for them. The Duke Engine claims to be at .39+ under laboratory conditions and believes that will improve when development continues. Very encouraging! My personal opinion is that “range extenders” (APU?) are the critical stepping stone between today and an all-electric tomorrow.